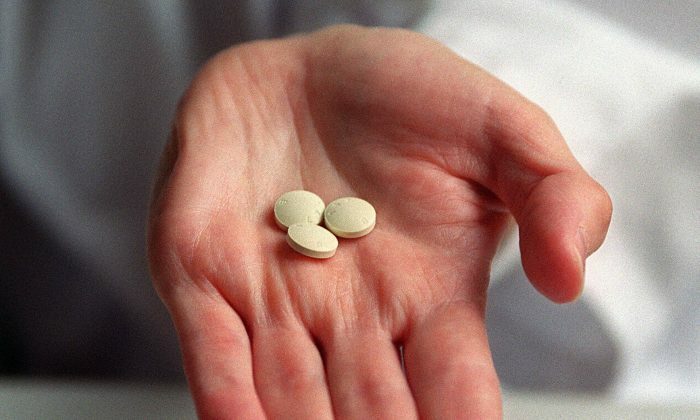 A proposal that would mandate public universities to provide abortion pills to students vetoed by Governor Jerry Brown in September has been brought back to the California state Senate. Democratic state senator Connie Leyva from Chino had vowed to bring back the bill after it was vetoed. The “College Student Right to Access Act,” or SB 24, would require on-campus student health centers to have the abortion drugs available by Jan. 1, 2023. The medication advertises a success rate of over 95 percent and students would be expected to return to regular activities within 1-2 days, said the state senator. The non-profit organization Live Action released a video with former abortionist Dr. Anthony Levatino describing the medication procedure to help educate women. The legislation was authored by Assemblymember Wendy Carrillo and sponsored by the Women’s Foundation of California, ACCESS Women’s Health Justice, ACLU California, and other groups. Brown’s Sept. 30 veto of Senator Leyva’s former bill, SB 320, he argued that the legislation was not needed. She said there were more than 90 Students for Life groups on campuses in California and they provide supportive resources to pregnant and parenting students. “Student success is not in opposition to parenting, which is the basis of SB 320 and the claims that we need abortion drugs on campus,” she said. Sacramento State graduate Jessica Massey is also opposed to legislation mandating abortion drugs on campus, like SB 320 and the new bill SB 24. A proposal that would mandate public universities to provide abortion pills to students vetoed by Governor Jerry Brown in September has been brought back to the California state Senate. Democratic state senator Connie Leyva from Chino had vowed to bring back the bill after it was vetoed. She reintroduced it as the state legislature reconvened after the election on Dec. 3, now with Democratic supermajorities in both chambers and a new governor-elect. The “College Student Right to Access Act,” or SB 24, would require on-campus student health centers to have the abortion drugs available by Jan. 1, 2023. The two-dose abortion pills would be given to “students who seek to terminate their pregnancy during the first ten weeks,” Leyva said in a statement. The medication advertises a success rate of over 95 percent and students would be expected to return to regular activities within 1-2 days, said the state senator. The non-profit organization Live Action released a video with former abortionist Dr. Anthony Levatino describing the medication procedure to help educate women. “I am confident that the incoming Legislature will also approve SB 24 and that Governor-Elect Gavin Newsom will continue to stand strong in his support for a woman’s right to choose,” Leyva said.